All the innovations in 2019 will be about „enhanced performance“. Our proven products will be enhanced and optimised with many new improved details. 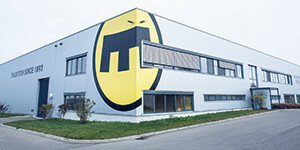 The company’s 125th anniversary is the key event for MAGURA in 2018. Today, in the fourth generation, the values and ideas of founder Gustav Magenwirth are as vibrant as ever. 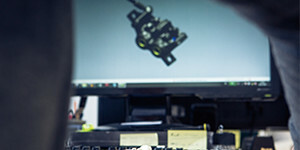 His technical solutions have helped in making big motorcycle brands like BMW so successful. 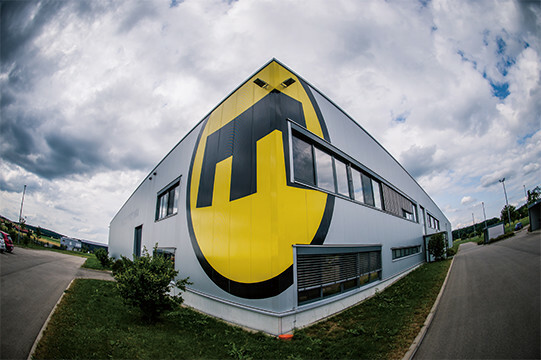 Over the last 30 years MAGURA‘s hydraulic rim and disc brakes, like HS, GustavM and MT, have played a huge role in the success of the mountain bike. Now everyone can join in the celebrations with the limited special model MT1893. MT1893 - Happy Birthday Gustav! The special MT1893 model for the 125th company anniversary MAGURA is offering everyone the chance to take part in the historic event with a limited MT1893 version, exquisitely packaged in a wooden crate, with polished 4-piston calipers and engraved with the founding year 1893 logo and serial number. The MT1893 gives all MAGURA fans the opportunity to mount a very special memento on their own bikes or to buy it as a collector‘s item. 4-piston braking power, refined chrome look and individually adjustable braking power with the HC3 lever blade developed with Danny MacAskill. With #customizeyourbrake, MAGURA‘ new tuning product programme, we are offering the right lever for every rider! The latest evolutionary stage is the HC 1-finger Carbolay® lever. Compared to the 2-finger brake lever, the new HC carbon lever is 10 mm shorter and, at 16 mm, offers a bigger contact area for the fingers. Complex carbon processing gives the lever a high degree of stiffness at lower weight. The lever is manufactured in a complex textile carbon embroidery process. This slices away another 26 g in weight compared to the HC aluminum lever (two levers). And as usual, the lever can be adjusted simply to your finger length or personal preferences (+/- 25 mm). The following disc brake models can be retrofitted with the new HC 1-finger carbon lever: MT6, MT7, MT8, MT Trail Carbon. Riders can choose from a total of 5 lever models at #customizeyourbrake: 1 or 2 fingers in aluminum or carbon. The HC3 lever delivers maximum adjustability. smarter assembly of the calipers were the driving factors. 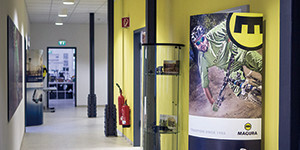 The first race mountain bikes and flat bar racer manufacturers are now going for the new racer standard. 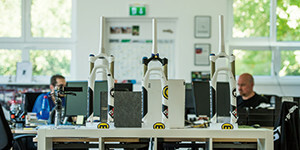 MAGURA takes this trend very seriously and is offering the MT8 SL and MT4 models as FM (flat mounts). 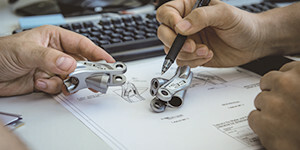 In contrast to other brake manufacturers, MAGURA‘s development team has succeeded in integrating brake pads of the same size as those used in post-mount models into the more compact caliper design. Reduced complexity thanks to uniform pads and greater braking power and stability for the customer. While the MT8 SL FM is designed for all XC/marathon racing bikes, the MT4 FM is made for flat bar racers. 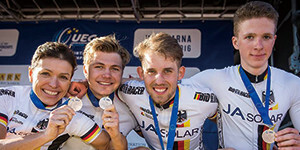 The motivation of MAGURA‘s developers was immediately boosted by the official announcement that the 2018 Team Specialized Racing will be starting the World Cup with MT8 brakes. After the first meeting with the athletes the focus turned to making the brake lever even better. Annika Langvad really benefited from the HC lever recently when she claimed World Champion marathon title. The shorter HC brake lever brings together numerous new ideas for enhanced performance and ergonomic improvements for the MT8. These have now all been realised in the shape of the MT8 SL with HC carbon lever. In contrast to the standard MT8 Carbolay lever, the new HC carbon lever is 10 mm shorter, has a wider 16 mm contact area for the fingers and weighs in 26 g lighter. The lever can be adjusted simply to your finger length or personal preferences (+/- 25 mm). 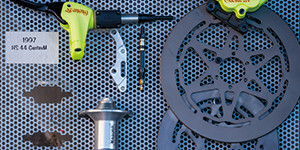 As well as improved ergonomic features, the brake also delivers new performance in the shape of a harder pressure point. The overall neon-yellow look (brake lever cover and caliper rings) lends the MT8 SL its race image.